An introduction to critical thinking, mathematics, and problem solving. Zbigniew Michalewicz is Professor of Computer Science at the University of Adelaide in Australia. He completed his Masters degree at Technical University of Warsaw in 1974 and he received Ph.D. degree from the Institute of Computer Science, Polish Academy of Sciences, in 1981. Zbigniew Michalewicz has over 25 years of industry experience, and possesses expert knowledge of many artificial intelligence methods and modern heuristics. Can you solve the Puzzles?? How are your problem-solving skills? 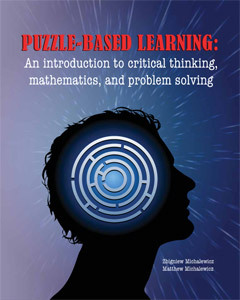 Try your hand at solving sample puzzles from the “Puzzle Based Learning” book. 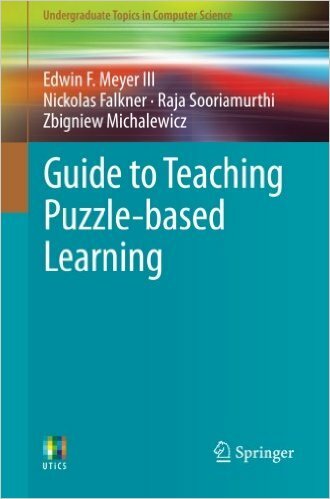 Watch the explanatory video on Puzzle Based Learning to learn more about this new teaching and learning methodology.